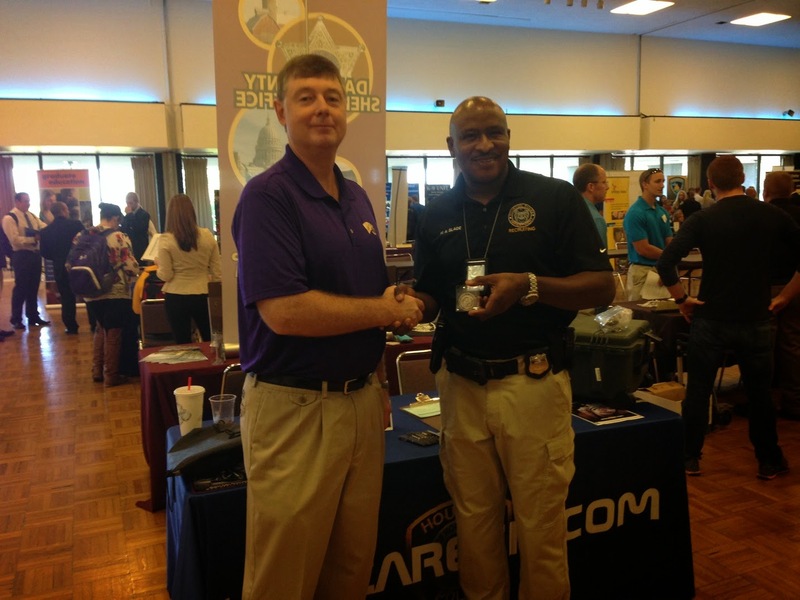 Senior Police Officer M. Slade was at Western Illinois University today and was presented with a challenge coin by professor and internship coordinator in the School of Law Enforcement and Justice Administration Professor Kenneth Durkin. 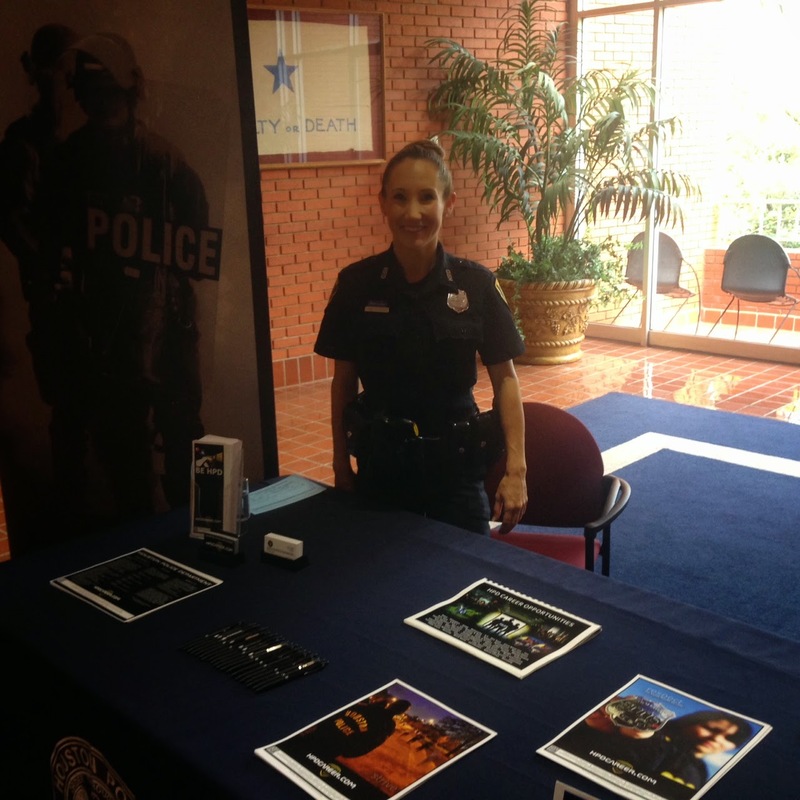 Officer B. Reese was at the CivilianJobs.com Job Fair in Ft. Stewart, Georgia today. 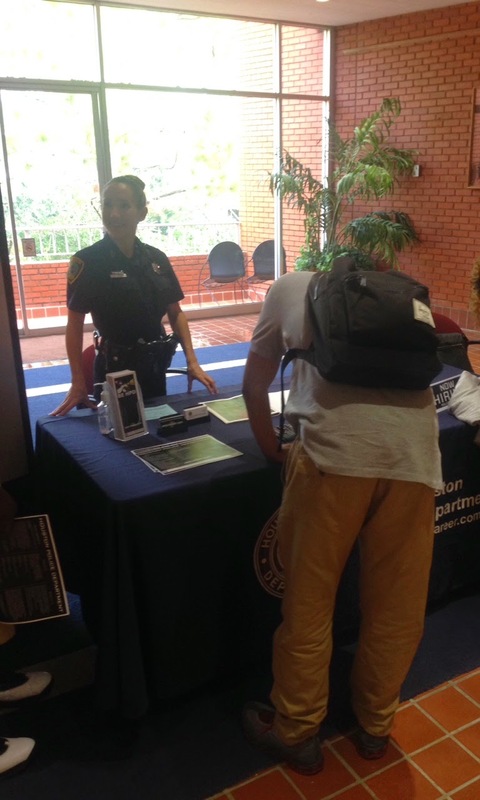 Officer D. Davito was out at Sam Houston State University answering questions about how to begin a career with HPD. 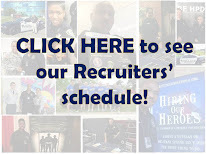 We post the Recruiting Division's itinerary for campus and job fair visits weekly. 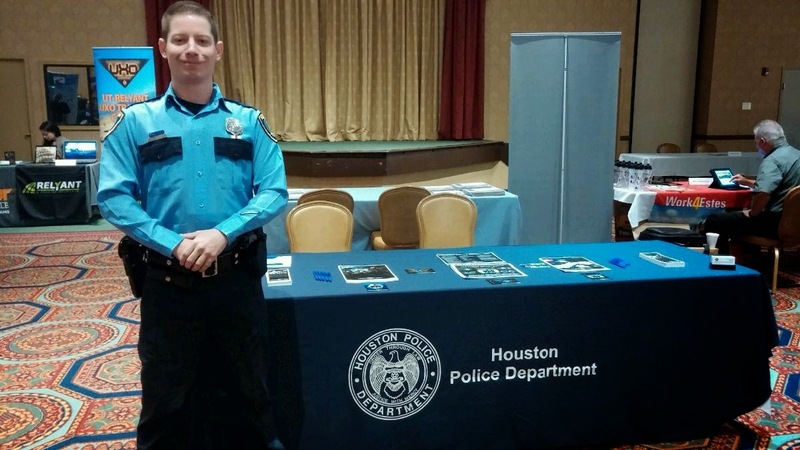 Follow the blog to see where we will be recruiting close to you. 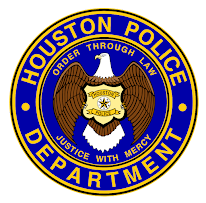 You can also go to www.hpdcareer.com or call the Recruiting Division at 713-308-1300 or (800) 252-0473 for more information.